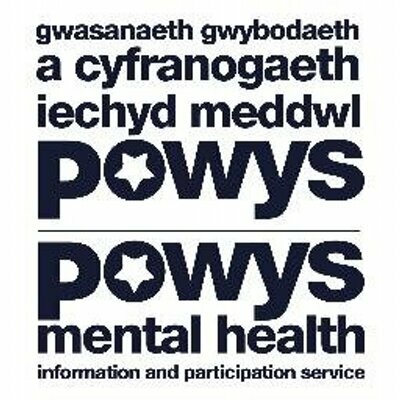 Penny is the Service Manager for Adult Mental Health Services in South Powys. In late September 2018 she and Lisa Hale, manager of Felindre Ward, the inpatient mental health ward at Bronllys Hospital, attended the third national conference on mental health and policing in Cardiff. The annual conference is jointly organised by The National Police Chiefs' Council, The College of Policing, and The Association of Police & Crime Commissioners. The theme this year was “demand-data-diversity” as these were felt to be the challenges that mental health services would face in the coming years. It is recognised that the demand for policing services is on the increase rapidly where mental health is concerned. The police have raised concerns about responding to people experiencing a mental health crisis which could leave vulnerable people stigmatised and criminalised. They are attempting to ensure that the police services are not inappropriately and over-used as part of the wider mental health systems. It is recognised that the day-to-day challenges of the police force are spent finding beds, places of safety and matters relating to patients AWOL (absent without leave) from inpatient services. The current IT systems are not built to harvest this information – they need to find ways of understanding the various kinds of demands being faced. Those of us from diverse backgrounds are more likely to live with mental health problems because of issues relating to race, sexuality or other protected characteristics. Racial inequality in the application of the Mental Health Act (1983) was one of the main reasons the Prime Minister recommended changes to the Act itself. In 2003 Frank was diagnosed with bipolar. His well-documented profile put Frank in the public eye, and he used the media attention to help raise the standards of care and to reduce the stigma attached to those living with a mental illness. In this Q&A session Frank spoke of his experience being detained under the MHA on 3 occasions. He believed the number of officers called to attend was excessive, and felt embarrassed when they turned up at his house with sirens blazing and neighbours’ curtains twitching. Frank recalls the MHA assessment and feels that he was listened to more by the police than the doctors undertaking the assessment. Once detained and moved to the inpatient unit, Frank felt that he was not listened to and felt over-medicated on medication he felt he did not need. Frank felt that there was a need to improve communication by just spending time with people and talking. Frank has now been free from all medication for the past 3 years and says that his only medication is attending the gym daily and having a steamer. Mair is a 21 year old inspirational young woman from West Wales. She is a mental health and autism campaigner throughout Wales. Mair described herself as a young patient activist and spoke openly about her experience and the challenges of growing up as a child living with autism and mental illness. Mair spoke of her disappointment with access to Child & Adolescent Mental Health Services (CAMHS) and found herself spending many nights in A&E in order to receive the support she and her family needed. On one occasion the police were called due to Mair experiencing a mental health crisis and they conveyed her to the local mental health hospital. Mair asked the police officers if she could stay in the police car rather than go on to the unit. Again, this was due to poor communication between staff and service users. Jonny Benjamin was a 20 year old man suffering with suicidal thoughts and poor mental health. He was admitted to a mental health unit and whilst there decided he was going to end his life the following day. Jonny asked to go outside for cigarette, left the hospital grounds and proceeded to Waterloo Bridge, where he sat on the edge contemplating jumping into the river. Neil Laybourn – a passer-by on his way to work – noticed Jonny and stopped to talk to him. Neil spent 25 minutes talking to Jonny – reassuring him that life can get better. Neil asked Jonny to go for a coffee out of the cold and away from the bridge. Jonny agreed. However, as Jonny came from the bridge – the police attended with sirens blazing and Jonny was arrested, handcuffed and put in the back of the police car. Jonny reports that the police contacted the inpatient unit and the staff on the unit were unaware that Jonny had been off the ward. He was returned to the unit – detained under MHA, and remained in the unit for the following 3 weeks. 6 years later – Jonny campaigned alongside Rethink the mental health charity to find the stranger on the bridge using the hashtag #findmike. Jonny had no idea who Mike was – it was just a name that came to him. The story went nationwide, with over 38 people coming forward claiming to be Mike, and saying that they had stopped someone from jumping off Waterloo Bridge in January 2008. Since Jonny and Neil were reunited in 2014, they have campaigned together around suicide prevention and adverse mental health. Their campaign looks #beyondshamebeyondstigma. In Cambridgeshire people experiencing a mental health crisis can call NHS 111 Option 2 to seek support. This innovative model is totally reliant on strong and effective partnership, involving NHS services, the Third Sector (MIND) and the police. It is proven that this system reduces demand whilst aiming to provide the right care, at the right time, from the right agency. The First Response Service in Cambridge provides assessment and support to people in mental health crisis out-of-hours. Working with existing teams, the team focuses on responding to urgent referrals from both the emergency services and NHS 111 Option 2. The team has clinical space based with GPs’ out-of-hours services to ensure co-ordination of care. The dedicated phone line is staffed by a system-wide coordinator who triages the calls. Yorkshire Ambulance Service has started a journey to make a difference in developing a quality approach for mental health patients. They are doing this by evaluating and measuring front line interventions that support mental health front-facing care. A team of mental health nurses/practitioners is based in the ambulance crew control room where they triage emergencies. They class this as a single point of access. The mental health practitioner then follows up on the call and actions appropriately. For example – a 25 year old woman contacted 999, requesting an ambulance due to experiencing suicidal thoughts. The call was triaged to the mental health practitioners who spoke to the woman and completed an initial assessment. It became clear that there was no requirement for a blue light service as she was not in immediate danger. The mental health practitioner was able to gather information, give advice and have access to the person’s mental health notes. A taxi was then sent to collect the woman so that she was able to attend for assessment by the team. This approach is successful in reducing unnecessary conveyance, avoidable 136 sections, and associated transport delays. Inspector Huw Griffiths, Mental Health Lead with Hampshire Constabulary, talked about the team he leads. 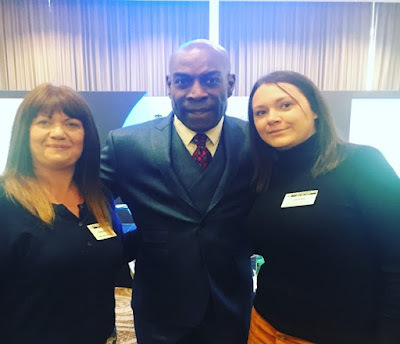 This consists of three police officers who are embedded in the NHS mental health teams. “Over policing is as bad as over caring, “ is a quote carried forward from the previous year’s conference. Nationally the police service is still seen as the default mental health emergency service in many areas and the first point of call for many people in crisis. Huw’s team has spent the past 5 years trying to change that, ensuring that through partnership working the police do not attempt to carry out the highly skilled role of another agency. This has led to locally to a 45% drop in police mental health deployments along with other areas of significant demand reduction. We both found the conference an excellent learning opportunity. We were able to see the point of view from different services of what it is like dealing with mental health crisis. We heard the opinions of the police on mental health services and the impact dealing with crisis has on a workforce that is not equipped to deal with the complexity of cases. It was so interesting to listen to the personal accounts of their involvement with services during a crisis. The service users’ and relatives’ accounts of their experiences were the most powerful, however. And, finally, the discussion forums we attended inspired us to look at our own service to see how we can make improvements.